"...and eight times better at anti-jamming." How does this "anti-jamming" work for the satellite? I don't think they're gonna tell anyone about it. Other than it's there. Probably frequency agility. Series of Rockets should be Launched from the same pad one after the other....Each one Blowing the Former Further....Finally, They should Move away in a Tree Branch Fashion. That would be problematic, as rockets take a great deal of time to physically move, check out and fill up with propellants. You also don't want launch vehicles to be close enough to each other that a single catastrophic failure would more than one rocket out courtesy of fiery debris. 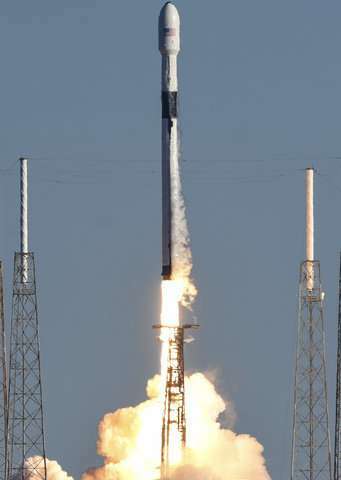 To say nothing of the huge cascading effect a launch delay of any kind would have when you're stuck with but one pad. A damaged pad would be especially concerning. The best bet to increase volume would be to not only have multiple pads for a given launch facility, but multiple launch facilities altogether to get around potential weather bottlenecks and increase the range of orbits available without incurring payload reductions. 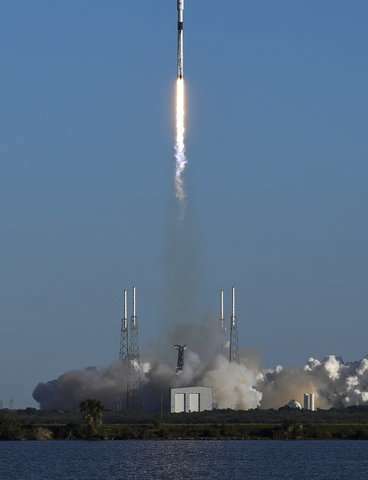 SpaceX, for instance, is investing in the construction of a launch facility in Boca Chica Village, Texas, and NASA reopened the Wallops Flight Facility to orbital launches in 2013.